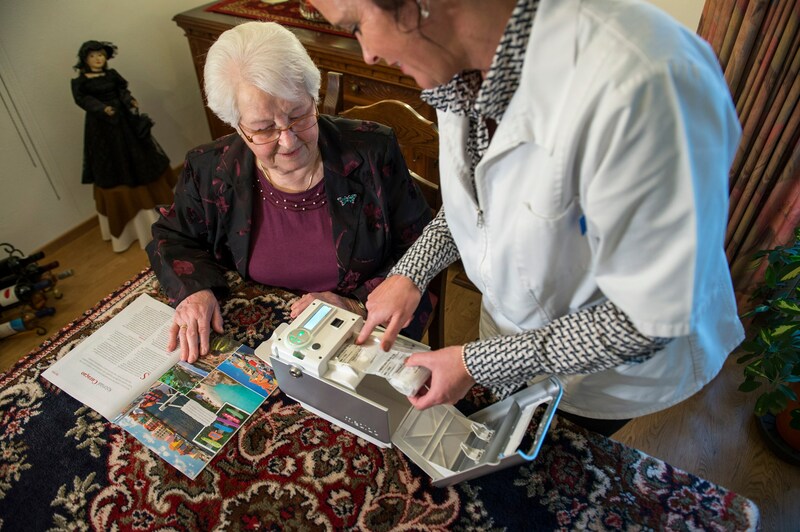 Amsterdam, the Netherlands – Royal Philips (NYSE: PHG, AEX: PHIA) today announced that it is expanding its focus on home healthcare with an innovative home medication dispensing service designed to support chronically ill patients and care providers. The new service provides automated, compact dispensers loaded with personalized pre-packaged medication and features a dedicated web-based IT connection to the patient’s care giver organization and pharmacist. Building on its broad portfolio of home health care capabilities Philips, is now rolling out its new service in the Netherlands, Belgium and Luxembourg (Benelux). 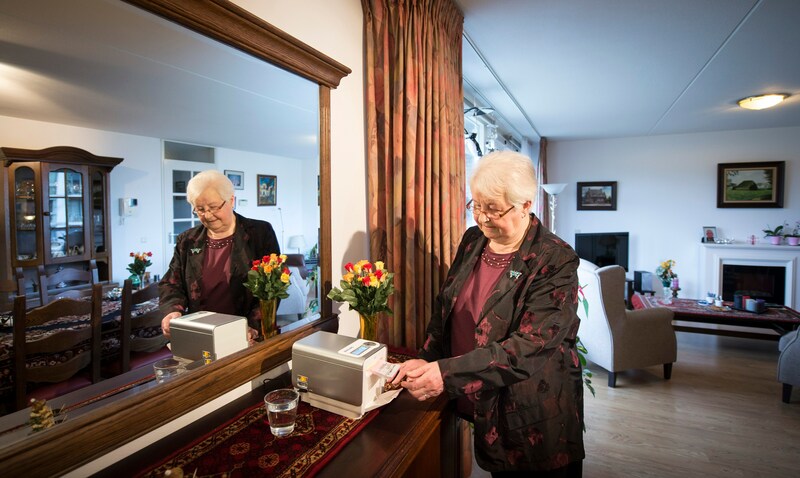 With the new service, Philips is expanding its home healthcare activities in the Benelux to home care, elderly care and nursing home organizations. By offering the prescribed medication at the preprogrammed time, as well as monitoring and support, the service aims to increase medication adherence among seniors and chronically ill patients. This could improve their health and quality of life, while reducing avoidable hospital stays, adverse events and healthcare costs, and supporting healthcare organizations. Each time medication is due, the dispenser automatically reminds the person, checks it is the right medication at the right time and then releases and opens individual pouches according to the patient’s prescribed regimen. This motivates the patient to adhere to personal medication plans and minimizes the risk of taking the wrong medication or dose. The solution monitors medication usage and remotely alerts nursing staff when medication is not taken, helping to streamline the normally time-consuming task of medication management and allowing them to focus on additional care issues. As people live longer, chronic illness is increasingly common and places a growing burden on healthcare systems. Home healthcare provides new cost effective ways to support seniors and chronically ill patients while retaining an independent lifestyle. Studies show that around 50% of medication for chronic disease is not taken as prescribed ¹. Each year in the Netherlands, 19.000 potentially avoidable hospitalizations involve elderly people who took their medication incorrectly, adding up to an annual financial burden of EUR 85 million ². 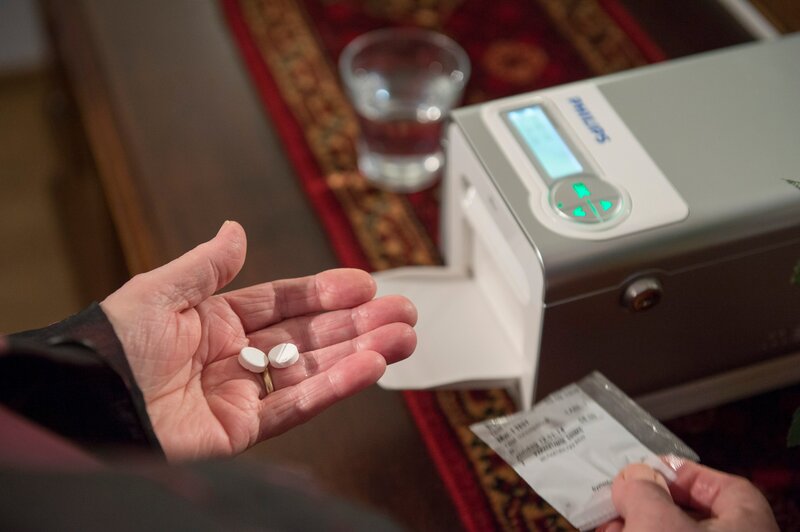 The home medication dispensing service for the Benelux differs from the medication dispensing service that Philips already offers in the United States, as it is based on a medication pouches system that is standardized and broadly available in the Netherlands. To bring the solution to market in the Netherlands, Philips is collaborating with the Dutch pharmaceutical telehealth company Innospense, that initially developed the integrated medication dispensing service, and is assisted by e-health implementation provider Focus Cura. Philips will also work with pharmacies to ensure the patient’s prescribed regimen is synchronized with the intelligent dispensing device in the patient’s home.